The Post Graduate Certificate is Securities Markets is a one year programme with NISM, an institute established by SEBI, the market regulator. This specialized and integrated programme focuses on providing conceptual grounding, skill building and industry exposure. The programme curriculum is aligned with the needs of the industry. The unique design of the programme focuses on providing a high degree of industry exposure, by academic and functional experts, from the BFSI sector. The Programme has the much-desired blend, wherein participants undergo the industry-linked internship at ICICI Group for a period of three-months during the one- year course duration. 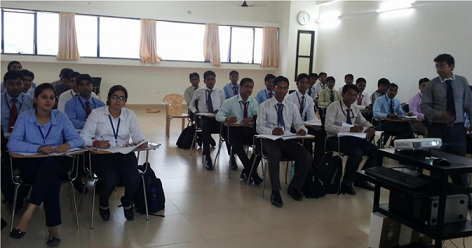 PGCSM programme in Securities Markets will be conducted at the NISM campus at Navi Mumbai. The starting remuneration on Cost to Company basis for participants will be in the range of ₹ 12.5 lacs [per annum]. Age -Participants should not exceed 30 years of age (as on July 1, 2017).